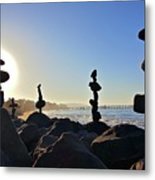 There are no comments for Sunrise Stacks. Click here to post the first comment. 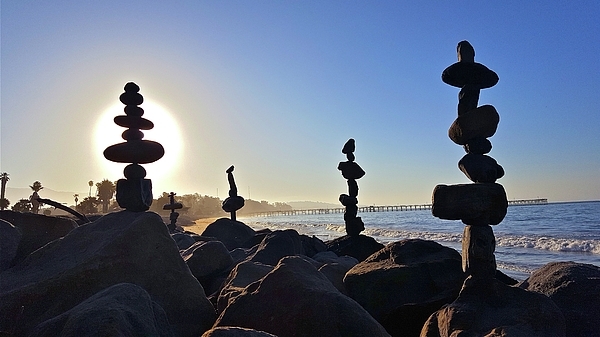 Rocks balanced at sunrise, Goleta Beach, CA. 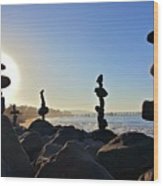 I've been balancing rocks since 1996 as a form of peaceful meditation. It started small at first. 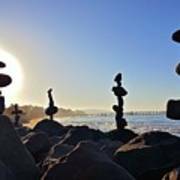 I would bring home rocks from the beach, then balance them in precarious positions, sometimes having hundreds of small rockstacks spread across my studio floor. 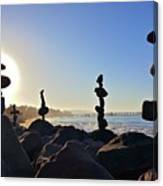 Soon I started balancing bigger and bigger rocks, stacking them as high as I could reach. Now many years later I want to share my art with the world . I feel the art creates a positive energy that many people enjoy. I have been inspired to document my art of balance so that I may share it with you.